Great for small groups or a family. Ideal for 2 guests requiring separate beds and some space, or for a young family, this versatile room sleeps up to 4 people comfortably. Two adjoining rooms with double beds sharing one bathroom. 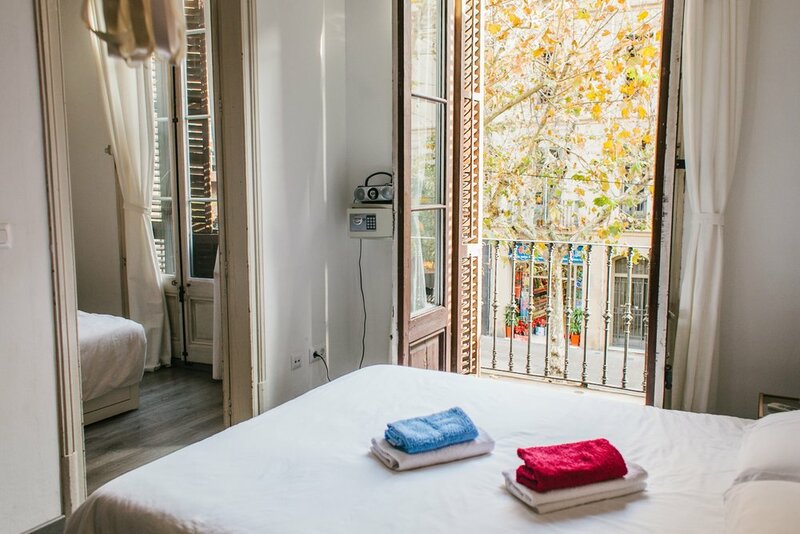 In the main room you will find a comfortable double bed, a wonderful bathroom with a “rainfall” shower, a wardrobe with lots of space, a table & chair if you need to work, a balcony looking onto the street. We have recently spent 4 nights at Zoo Rooms (with young family and grandmother) and we all absolutely loved it! The guest house is stylish, while also feeling like home. The terrace is so spacious and such a pleasure to spend time in. I have never stayed anywhere so clean - and that's a big plus for me. Thank you so much for a wonderful stay, we can't wait to come back!